The rivers of the Amazon Basin cover at least 4,000 miles total, making them the largest area of fresh water in the world. There are thousands of aquatic and semiaquatic plant species living in the rivers’ various habitats, which include fast-flowing streams, marshes, swamps and acidic, slow-moving blackwater rivers. 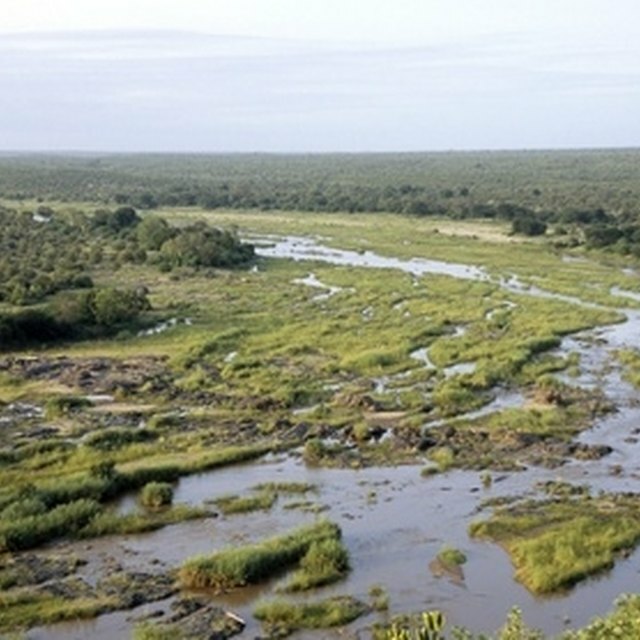 From November to June, major waterways flood and cover large areas of the surrounding forest, changing the landscape dramatically and creating new temporary habitats in which plants can thrive. 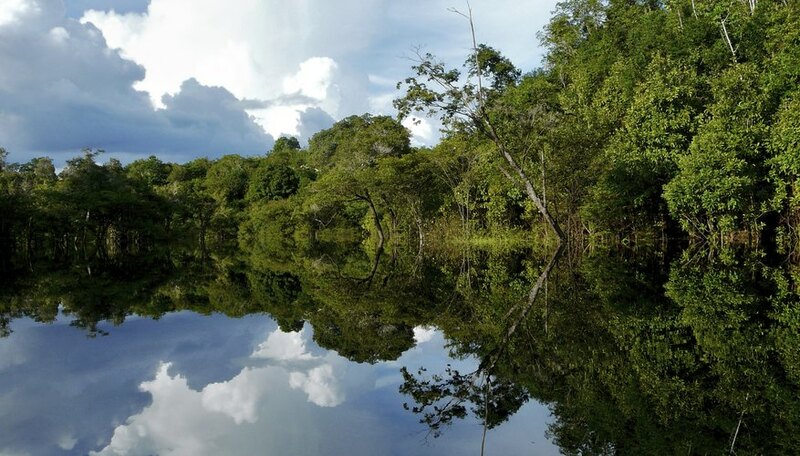 The range of plants found in the Amazon rivers varies from inconspicuous flowering aquatics to floating rafts of grasses and climbing epiphytic vines. Examples of such grasses include aquatic Paspalum species and semiaquatic bamboos (Bambusa spp.) growing along the river banks. Flowering aquatic plants in the Amazon rivers include Echinodorus species, such as the broad-leaved dwarf Amazon sword plant (Echinodorus quadricostatus), which prefers the dim conditions of blackwater rivers. Other flowering plants in the Amazon rivers include delicate water stargrass (Heteranthera zosterifolia), watermilfoil (Myriophyllum elatinoides), with its feathery whorls, and Amazon grass plant (Lilaeopsis brasiliensis), which, despite its name, is not actually a grass. The Amazon rivers are also home to the impressive Victoria amazonica and other water lilies. Epiphytic vines are a common sight in the Amazon rivers, and many of these vines are aquatic or semiaquatic, growing in the slow-moving swamps. Examples of such vines include woody Cissus vines, which are members of the grape family Vitaceae. Based in Scotland, Clare Smith is a writer specializing in natural science topics. She holds a Master of Science in plant biodiversity from the University of Edinburgh. Smith, Clare. "Plants That Live in the Waters of the Amazon Rivers." Sciencing, https://sciencing.com/plants-live-waters-amazon-rivers-6823575.html. 24 April 2017.